We’d love your help. Let us know what’s wrong with this preview of A View from the Foothills by Chris Mullin. Chris Mullin has been a Labour MP for twenty years. In that time he has not been afraid to criticise his party. But despite his refusal to toe the party line - on issues like 90 days detention and Africa, for example - he has held several prominent posts. To the apoplexy of the whips, he was for a time the only person appointed to government who voted against the Iraq War. Chris Mullin has been a Labour MP for twenty years. In that time he has not been afraid to criticise his party. But despite his refusal to toe the party line - on issues like 90 days detention and Africa, for example - he has held several prominent posts. To the apoplexy of the whips, he was for a time the only person appointed to government who voted against the Iraq War. He also chaired the Home Affairs Select Committee and was a member of the Parliamentary Committee, giving him direct access to the court of Tony Blair. Published March 2nd 2009 by Profile Books Ltd.
To ask other readers questions about A View from the Foothills, please sign up. So good. He saw all those pigeons on the horizon that have now come home to roost for Labour. An entertaining political memoir, in which the main interest is in the Labour Party's infighting and the author's views on Tony Blair. Mr Mullin is to be credited for his honesty - he often confesses to disliking the electorate and being willing to follow policies in the interests of staying in power rather than remaining true to his principles. He shines a spotlight on the stupidity and populism which plagues our political system and it is an easy, excellent read. A great account of the British politics around the Iraq war. Also the author is a very refreshing person, and exposes a lot of the internal problems he has seen. One of the best political diaries I've read. Never loses you in too much detail and keeps a good balance between politics and family life. A great insight into Blair’s second term. Engaging and insightful. A very honest account of the challenges MPs face in trying to establish and maintain an effective sphere of influence. The proposer said that he had chosen it as it was a book he had been unable to put down. He was aware this might be because he had a particular interest in politics, but he hoped that the book might have proved to be of wider interest. - there was the story of Mullin as an individual, his hopes and fears, from the beginning to the end of his Ministerial career. He had an attractive personality – honest, modest, self-deprecating, sharp but also n The proposer said that he had chosen it as it was a book he had been unable to put down. He was aware this might be because he had a particular interest in politics, but he hoped that the book might have proved to be of wider interest. -	there was a record of the tedium and futility (as perceived by Mullin) of life as a junior Minister, although he seemed to fare much better once he moved to the Foreign Office. Mullin wrote particularly well, being – like Alan Clark – a writer who became a politician rather than vice versa. The best political diaries (such as those of Chips Channon and Alan Clark) were those – like Mullin’s – written by a minor participant, who was not distorting events to justify themselves to posterity. Mullin was like Rosencrantz or Guilderstern, helplessly playing a bit part while Blair’s Hamlet took the big decisions. The diary format gave a contemporary record of the Blair years, with all its foibles, which could be quite different from views formed in hindsight, for example in relation to the Iraq War, where Mullin gave a fascinating account of the build-up to the vote in Parliament and the pressures put on him to vote with the Government. However, it had to be borne in mind that editing had taken place – both the self-editing that took place when writing down the diaries initially, and then the extensive editing down that took place before publication. This as a minimum was likely to leave in those references that were judged particularly topical or prescient for the concerns of 2009. Last night I had insomnia, so ended up reading all 550 pages of this book before I dropped off at 5am. I’ve previously read Decline & Fall: Diaries 2005 2010, which were equally addictive reading. Mullins has an extremely easy-to-read, analytical yet gossipy style and covers a striking mixture of huge geopolitical events and hilarious mundanities. The first half of the diary covers what seems in retrospect to be a golden age - no war on terror, no extreme weather disasters, no economic chaos Last night I had insomnia, so ended up reading all 550 pages of this book before I dropped off at 5am. I’ve previously read Decline & Fall: Diaries 2005 2010, which were equally addictive reading. Mullins has an extremely easy-to-read, analytical yet gossipy style and covers a striking mixture of huge geopolitical events and hilarious mundanities. The first half of the diary covers what seems in retrospect to be a golden age - no war on terror, no extreme weather disasters, no economic chaos, no austerity, no toxic narrative of scroungers. The Labour government was comfortable, the Conservatives were in freefall, the Lib Dems barely merited mention, and UKIP might just as well not have existed. During this period, Mullin spent some time as a junior minister in the environment department (since renamed multiple times), preoccupied with the problem of excessively tall leylandii hedges. Imagine! Climate change and energy insecurity simply weren’t concerns. Mullin’s commentary on transport policy made me smile wryly, though, as it showed a lack of government strategy and focus that still prevails in the sector. Mullin's battle over ministerial cars is also absurdly funny yet rather horrifying. The turning point in the diaries is of course September 11th, whereupon the Labour’s political fate became tied to George W. Bush and the Iraq war caused fissures both in the party and government. Mullin’s account is fascinatingly candid. 2003 then saw the beginning of the tabloid’s assault on asylum seekers, since widened to include basically anyone under 70 that claims benefits. These two wars mark the end of any golden age and the beginning of the slide towards our current moribund coalition government. I find the 1999-2005 period especially interesting as it covers the first years when I became interested enough in politics and current affairs to actually follow what was happening. Moreover, the contrast between government then and now is rather extraordinary. Labour followed a policy of perpetual reshuffles, whereas the coalition has gone to the opposite extreme and kept ministers in departments against all sense and reason. (Housing minister is the only role to have been handed around; surely one of the most thoroughly poisoned chalices in Westminister.) Although Mullin discusses growing cynicism in the electorate with dismay, this was still prior to the expenses scandal, phone-tapping/Murdoch revelations, and financial crisis. Cuts to public services were utter taboo, something that changed with breath-taking speed once George Osborne became chancellor. These are the diaries of Chris Mullin, the former MP for Sunderland South, covering the period 1999-2005, during which time he was a junior minister and backbench MP. This is a really interesting period (Iraq, the Blair-Brown rivalry, etc) and is of personal interest because it overlaps with the period when I worked in Whitehall. I really, really enjoyed this book. It’s fascinating if you like political gossip (and I do) because it’s full of political gossip. CM doesn’t hold back with his opinion These are the diaries of Chris Mullin, the former MP for Sunderland South, covering the period 1999-2005, during which time he was a junior minister and backbench MP. This is a really interesting period (Iraq, the Blair-Brown rivalry, etc) and is of personal interest because it overlaps with the period when I worked in Whitehall. I really, really enjoyed this book. It’s fascinating if you like political gossip (and I do) because it’s full of political gossip. CM doesn’t hold back with his opinions and is very frank if people annoy him. There are also fascinating snippets of conversations from select committees and Blair’s meetings with his backbenchers. He writes engagingly and is often very funny. There are some very prescient comments – Robin Cook saying that the publication of MPs’ expenses is going to cause problems ‘and many MPs don’t realise the mess they’re in’. David Miliband saying Blair will serve a full second term but not a third. CM spotting David Cameron as one to watch within weeks of his joining a select committee. All great fun to read with hindsight. CM is an odd character, though. At times, I really warmed to him – honest, witty, compassionate, clearly devoted to his wife and daughters. At others, he came over as sanctimonious and I was a bit annoyed by his frustration with his lack of promotion. He rails against what he calls ‘useless activity’ (and I agree, there is plenty of that in Whitehall) but he doesn’t read his briefs, doesn’t pay attention during Prime Minister’s Questions, doesn’t read his department’s legislation ahead of time… This isn’t ‘pointless activity’ – it’s the job. That’s what ministers are for, and it isn’t in the same category as the pointless activity he complains about. (I can well imagine that he would have given short shrift to an official who had come to a meeting unprepared!) He comments admiringly on other ministers who are on top of their game (and who get promoted) but still seems to feels aggrieved when he isn’t promoted, pointing out that he works hard and puts in long hours. Yes, he does – but others work harder and longer. I'm torn on this. On the one hand I quite enjoyed reading from the perspective of a low-level minister in the New Labour government. Many of the frustrations that one expects to exist when faced with massive bureaucracy and the tyranny of career civil servants are there and there is something appealing about quietly venting one's spleen and having preconceptions confirmed. This is an interesting memoir due to his brushes with those who once held some sort of real power. It is reasonably well wri I'm torn on this. On the one hand I quite enjoyed reading from the perspective of a low-level minister in the New Labour government. Many of the frustrations that one expects to exist when faced with massive bureaucracy and the tyranny of career civil servants are there and there is something appealing about quietly venting one's spleen and having preconceptions confirmed. This is an interesting memoir due to his brushes with those who once held some sort of real power. It is reasonably well written and moves at a fair lick, given the dryness of some of the subject matter. The difficulty is that he comes across as a distinctly unlikeable person - at least to me, but I accept that this is a very subjective point of view. I found myself disagreeing wholeheatedly with his sense of priorities, his outlook - although most of this served to demosntrate to me that I was in fact more political than I thought I was. But I was left with no warmth towards the author as a character. Ultimately he seems disgruntled at the fact that no one else seems to recognise the genius he himself believes he possesses. I admit to a fundamental disagreement on work ethics with the author - this is a man who wants to be a government minister but expects to be able to run a 24-hour country on hours of Mon-Fri, 9 until 5 (although I suspect he'd like to knock off a little early at the end of the week to return to his constituency home without too much commuter drama). Few serious companies are able to operate consistently on that basis, and I'm confident that countries certainly do not. And yet, with his part-time approach, he seems surprised that he has not been propelled to high office at the first available opportunity. This is all the more bemusing for the fact that the people he admires he frequently cites as being thoroughly on top of their brief and having a voracious appetite for work. Starting with his appointment in July 1999 to the vast, dysfunctional department loosely run by the vast, dysfunctional John Prescott and finishing with his May 2005 sacking from his junior post at the Foreign Office, Mullin's diaries are a fascinating, gossipy account of his time on the lower rungs of the Ministerial ladder, and as the Chair of an influential Select Committee. Covering one of the most fractious, angry periods of New Labour history - Afghanistan and Iraq loom large, as does the B Starting with his appointment in July 1999 to the vast, dysfunctional department loosely run by the vast, dysfunctional John Prescott and finishing with his May 2005 sacking from his junior post at the Foreign Office, Mullin's diaries are a fascinating, gossipy account of his time on the lower rungs of the Ministerial ladder, and as the Chair of an influential Select Committee. Covering one of the most fractious, angry periods of New Labour history - Afghanistan and Iraq loom large, as does the Blair-Brown soap opera, Mullin comes across as honest and, for someone who is supposedly one of the more dogmatic Old Labourites, very fair and even-handed. Friendly with Tories like Nicholas Soames and John Major and continually impressed with a young committee member named David Cameron, he's an incisive critic of his own party. An admirer of Jack Straw and Tony Blair, but not of some of the ridiculous spin or the party's obsession with micro-managing services through targets, he's even more of a fan (sometimes in an exasperated way) of Tony Benn. Mullin isn't quite as pleased with Blair's prayer buddy George W. Bush - "an intellectually and morally deficient serial killer" or, less viciously, Gordon Brown - "the same old Gordon who still bites his nails; the same mirthless smile, switching on and off like a neon sign." Mullin is an entertaining writer and an insightful one. True, he can be a little strident and pompous. And at times the book feels unecessarily long but these are fairly minor complaints about a very open semi-insider's account of modern political history. A Member of Parliament has many allegiances: to his constituents, his constituency party, his national party, his parliamentary party - and to himself. The vote on the Iraq War presented Chris Mullin with a fundamental dilemma. He was opposed to the war, so were many of his constituents. But the whips were leaning on him. Defeat was a possibility for his party. Where then should his loyalty lie? To his credit, he cast the solitary Labour vote against. To his relief, it did not result in defeat. A Member of Parliament has many allegiances: to his constituents, his constituency party, his national party, his parliamentary party - and to himself. The vote on the Iraq War presented Chris Mullin with a fundamental dilemma. He was opposed to the war, so were many of his constituents. But the whips were leaning on him. Defeat was a possibility for his party. Where then should his loyalty lie? To his credit, he cast the solitary Labour vote against. To his relief, it did not result in defeat. Diaries, the contemporary record, can be more revealing than memoirs which may be refracted through hindsight. Mullin's read as a reliable account of history, in matters large and small, as it was made. At the beginning he is a junior minister in the Department of Environment, frustrated because he believes has liiile effect on anything worth while. He retreats to the back benches but is lured into office again under Jack Straw with responsibility for Africa. Surprisingly, given his frequently stated dislike of pomp and privilege, he seems to relish the challenge the position holds, though once more he complains of helplessness - now in the face of famine, corruption and intransigence. But it is not the big picture that fascinates here; it is the behind-the-scenes view of daily life and dilatory MPs. Mullin is ambivalent about Blair (a leader who invariably was brilliant in a crisis but still not entirely to be trusted); he is vitriolic in confirming all the bad opinions of Gordon Brown; forgiving of John Prescott's volatility; ultimately, one feels, admiring of the chameleon Straw, politician supreme. Chris Mullin is the likeable, radical Labour MP for Sunderland South. After years on the backbenches, chairing parliamentary committees, and being a thorn in the side of governments of all stripes, he finally gets a lowly ministerial position in the second Blair administration. This is his diary of those years, until he gets passed over after the 2005 election. This is a very depressing read. The Blair government is bitterly divided - Gordon Brown comes out of it very badly. Despite all his best Chris Mullin is the likeable, radical Labour MP for Sunderland South. After years on the backbenches, chairing parliamentary committees, and being a thorn in the side of governments of all stripes, he finally gets a lowly ministerial position in the second Blair administration. This is his diary of those years, until he gets passed over after the 2005 election. This is a very depressing read. The Blair government is bitterly divided - Gordon Brown comes out of it very badly. Despite all his best efforts, Mullin has very little to show for his years as a junior minister - there seems to be so many obstacles in the way UK government is run and the bureaucracy of the Civil Service to prevent anything changing at all. The whole running of government seems to be pointless. In the midst of this, we have the attacks on the twin towers, and the push towards war in Afghanistan and Iraq, Despite the pressure for the Whips Office, Mullin votes against the latter. However, Blair, only ever referred to as 'the Man', seems to be in thrall the USA and forces the UK into an illegal war, the consequences of which we continue to live with today. And there seems to be nothing that anyone can do to prevent it. Mullin comes across as a committed MP, trying to do his best for his constituents but meeting with very little success. No wonder parliament is now full of political wonks whose only desire is to get into the Cabinet or just get lots of consultancies and the money that comes with it. Thank goodness there are still a few Mullins around. Chris Mullins diaries of his time as a junior minister and chair of a parliamentary committee in the Blair govt of the early 2000s is highly readable and an interesting view of 'life in the foothills' i.e. at the lower rungs of govt. Mullins doesn't take himself too seriously and the diaries sit somewhere between the out and out seriousness of Alastair Campbell and the gossip of Piers Morgan, and cover a similar period. 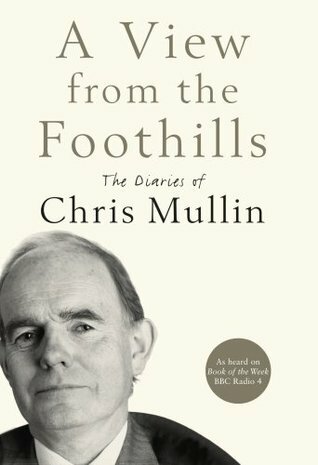 There are a couple of memorable moments - such as when the then head of MI6 p Chris Mullins diaries of his time as a junior minister and chair of a parliamentary committee in the Blair govt of the early 2000s is highly readable and an interesting view of 'life in the foothills' i.e. at the lower rungs of govt. Mullins doesn't take himself too seriously and the diaries sit somewhere between the out and out seriousness of Alastair Campbell and the gossip of Piers Morgan, and cover a similar period. There are a couple of memorable moments - such as when the then head of MI6 predicts chaos and an upsurge in terrorism following the Iraq war (why was she not listened to?) and Mullins is very interesting on the Thatcher legacy of the workless underclass in his Sunderland constituency. If volume 1 was good, this was even better. I suspect Mullin took a number of years to get going as a diarist, but it was worth the wait. As with most politicians, he is delightfully gossipy, devasting with a barb, generous with praise. Reading his frustration of being a minor pawn to ministers who refused to let anything go (Prescott, Meacher) was enightening. Someone was reaching up to the height of his ambition, but they were let down by the reality of every job's drudgery. He was happy pursui If volume 1 was good, this was even better. I suspect Mullin took a number of years to get going as a diarist, but it was worth the wait. As with most politicians, he is delightfully gossipy, devasting with a barb, generous with praise. Reading his frustration of being a minor pawn to ministers who refused to let anything go (Prescott, Meacher) was enightening. Someone was reaching up to the height of his ambition, but they were let down by the reality of every job's drudgery. He was happy pursuing the issues that interested him but not really anything else. A specialist who could not cope with the need for a generalist. He was scintillating in his analysis of Iraq and destructive in his understanding of Blair and Brown. This is a valuable insight into New Labour. Mullin is at his best when he writes about the routine matters of political (and personal) life. The late nights of parliamentary debate written alongside the death of his father. The Chris Mullins book arrived in the post so I started reading the opening pages and was quickly hooked. Not only is it mesmerisingly accurate about the ODPM (the dept where he was minister) but in general about New Labour. So many little incidents, like the invitee-only 'Listen to Older People' event in which ministers deliver long speeches then leave before answering questions. On the way the Dept works, it struck me that nothing much has changed since Crossman wrote his diaries. The way that The Chris Mullins book arrived in the post so I started reading the opening pages and was quickly hooked. Not only is it mesmerisingly accurate about the ODPM (the dept where he was minister) but in general about New Labour. So many little incidents, like the invitee-only 'Listen to Older People' event in which ministers deliver long speeches then leave before answering questions. On the way the Dept works, it struck me that nothing much has changed since Crossman wrote his diaries. The way that policy occurs almost by accident, and even minor changes can't be contemplated if they will upset the Treasury. He also though points out some of Labour's real achievements like decent homes that seem to have no impact on people's political views, even if they have benefitted directly: politicians are still 'all the same'. Gripping and depressing at the same time, enlivened by his writing style, acute observation and occasional witticisms. Mullin alternates between cynical and movingly earnest. Sometimes he has so much self-doubt that the reader wonders why he is an MP at all. Reading between the lines though, it is clear he doesn't really believe that he is a failed politician, as he labels himself. His encounters with asylum seekers and children in Africa show that he did make a difference despite everything. A timely moment to be reading about the New Labour years as they finally draw to a close. Chris Mullin's an excellent writer, and gives a wonderful glimpse into the life of a Junior Minister and backbench MP. He was a pretty exemplary example of both, which also makes this a great book to read if you think that all of our representatives are awful, out for themselves, and as bad as each other. Unfortunately, he's stood down at the most recent elections, but there are others in the house as good A timely moment to be reading about the New Labour years as they finally draw to a close. Chris Mullin's an excellent writer, and gives a wonderful glimpse into the life of a Junior Minister and backbench MP. He was a pretty exemplary example of both, which also makes this a great book to read if you think that all of our representatives are awful, out for themselves, and as bad as each other. A very engaging political diary - Chris Mullin charts his rise (and fall) to the foothills of power in New Labour under Tony Blair. It's a bit of an eye-opener to the workings of Westminster, and particularly the civil service - his dissatisfaction with the speeches he was given to deliver was a recurring theme, as was the tendency of those at the top to make decisions without consultation. Chris Mullin himself comes across pretty well - he is self-deprecating and prepared to admit his own shortc A very engaging political diary - Chris Mullin charts his rise (and fall) to the foothills of power in New Labour under Tony Blair. It's a bit of an eye-opener to the workings of Westminster, and particularly the civil service - his dissatisfaction with the speeches he was given to deliver was a recurring theme, as was the tendency of those at the top to make decisions without consultation. Recommends it for: Anyone looking for a frank and compassionate account of the Blair years. A great 'alternative' account of the Blair years. Full of humour, gripping excitement and poignant moments of both horror and joy. This book managed to inspire in me equal amounts of hope and despair with our elected representatives. Despair at the media obsessions, pointless activity, African atrocities, America etc. Hope that politicians like Chris Mullin still exist. In fact, if there is any message I took away from this book, it is that most politicians are actually much more principled, cari A great 'alternative' account of the Blair years. Full of humour, gripping excitement and poignant moments of both horror and joy. This book managed to inspire in me equal amounts of hope and despair with our elected representatives. Despair at the media obsessions, pointless activity, African atrocities, America etc. An excellent insight into the world of Labour politics during the first period of Tony Blair's Premiership. Chris Mullin writes very well, with self-deprecating humour, and a deep sense of humanity. He gave me a feeling of "I wish he was my MP" as well as "I wish he'd had more influence in Government". I'm looking forward to reading the next instalment "Decline and Fall" which is on my Tablet waiting for a rainy day. Highly recommended! This is probably a very effective way of inoculating oneself against any desire to go into politics - the first 150 or so pages during which Mr Mullin is the 'Minister for Folding Deckchairs' (his term) in John Prescott's vast 'Department of Things and Stuff' (my term) especially. Interesting too for the semi-insider's view it presents of the much talked about run-up to the Iraq war and for seeing what an MP *really* thinks of the constituents he has to pretend to sympathise with.